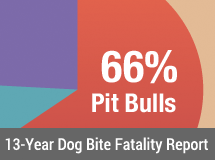 DogsBite.org does not have the resources to write a blog post for each pit bull or suspected pit bull attack. For documentation purposes, we have condensed stories to include the date, location, victim's name and age and the severity of the injury. Summary: A man and his dog are recovering after being attacked by three pit bulls on Thanksgiving. Richard Harvey, 32, said he was treated at Community Hospital in Anderson and will continue undergoing treatment for rabies after sustaining lacerations to his hands during the incident. The attack took place outside Harvey’s home. Harvey went outside with his own dog, a cocker spaniel named Tinder, when two adult pit bulls and a puppy approached. Harvey tried to scuttle the dog back inside, but it was too late. He said the pit bulls attacked with no provocation. 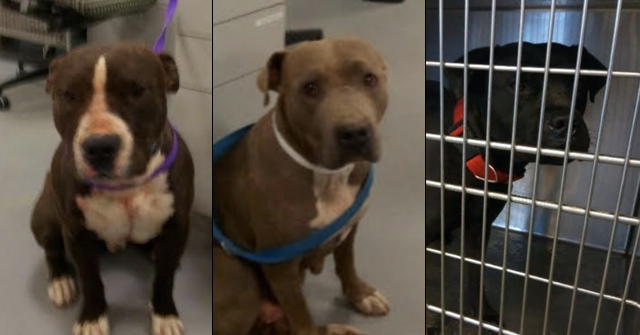 Summary: Three pit bulls circled an 8-year-old boy Wednesday afternoon and at least one animal bit the child, Montgomery County Sheriff's Sgt. Eric Ward said. The boy was flown to Memorial Hermann-Texas Medical Center with injuries to his legs and arms. Ward said the bites were not believed to be life-threatening. The pit bulls belong to the child's neighbors in the Royal Forest subdivision. The case has been forwarded to the Montgomery County District Attorney's office. Hopefully Lillian Law charges will apply. Summary: Earlier this month, Melissa Czarnecki of Hillsdale, Ind. said she was outside smoking when four of her neighbors' pit bulls mauled her on her own property. The bites left scars on her arms, legs and her left side. Since the attack, three of the four dogs were euthanized. Wednesday morning, the prosecutor charged John and Brandy Wilson with not restraining their dog, which resulted in serious bodily injury. That carries a maximum of one year behind bars. 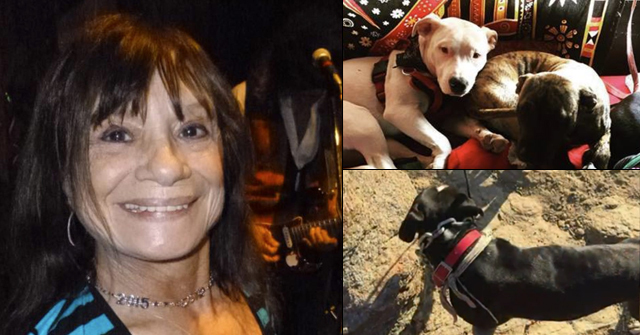 Summary: Linda Hutchins was dragged out of her car and attacked by her neighbor's pit bull. "When I turned to get out of the car, the dog was right there and I just put my arm up like this," she said. "If I'd been a little kid, I'd be dead." As she lay in her driveway, the dog's jaws crushed her hand. Then the pit bull grabbed her cocker spaniel. He suffered puncture wounds and Linda had a serious crushing wound. Linda was dumbfounded when animal control told her they weren't taking the dog and it would be allowed home quarantine. The pit bull did not have a history of biting, therefore authorities had to return the dog to its owner so that it could attack and potentially kill again. The county will, however, require the owner to purchase $50,000 in liability insurance. Linda asks: "What good is $50,000 if it goes out and kills somebody next time? 50,000 doesn't cover somebody being dead!" The dog's owners said they plan to send it to a behavior school and maybe put it up for adoption. (This way someone else can adopt the dog and have their arm ripped off). Summary: Keelan Clark, 7-years old, underwent two hours of surgery after being attacked by a pit bull type dog. Clark received 43 stitches in his jaw, a puncture wound in his ear and several cuts in his head. Keelan and his brother Austin say they were playing on his street when the dog attacked. "The big dog barked and then it bit me," said Keelan. The boy's grandfather says the attack could have turned deadly. "Just the way the lacerations, the bite marks were...it came pretty close to his jugular and if it would have hit that he could have bleed to death laying there. I mean that's the fear," said Raymond Clark. Summary: A 3-year-old Polk County girl was airlifted to St. John's Hospital after a dog attack, Walnut Grove Fire District Chief Dwaine Bourke said. The girl's aunt had been feeding the dog and was getting ready to feed a cat. When she turned around the dog was biting the girl. 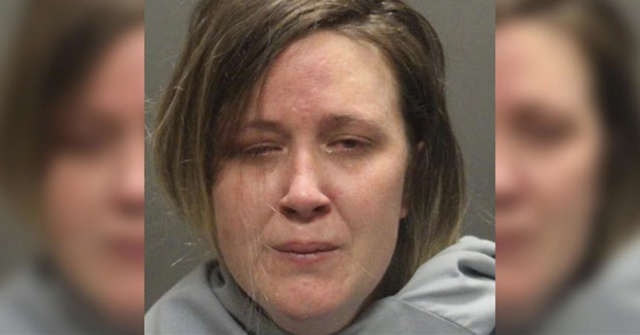 The child suffered bites on the top of her head and over her right eye. "When the paramedics arrived they determined it was best to airlift her due to the nature of the injury to her eye area," said Bourke. Officials say the dog was a pit bull rottweiller-mix. Summary: A West Monroe woman was recovering Monday after being bitten about 50 times by two dogs. Rene Bradford, 72, of 1211 Puckett Lake Road, was on the way to get her mail on Saturday when she was attacked by two dogs: a Great Dane and a pit bull. Her husband, Willard Bradford, tried to get the dogs off her but the ordeal lasted nearly an hour. Bradford, who is partially blind, was taken to Glenwood Regional Medical Center. About 20 of the 50 bites required stitches. Summary: An attack by a family dog sent a 2-year old McCook boy to Community Hospital with severe injuries. McCook City Police Chief Ike Brown confirmed today that the unprovoked attack happened inside a family residence. Police were called after the family pet, a pit bull, attacked the child around the face and neck. Brown said the injuries substantial but not life-threatening. At the request of the owners, the dog was put down and tested for rabies. Summary: A woman is in stable condition after she was attacked by two pit bulls. There were said to be three pit bulls in the home involved in the incident. The victim is an employee of the Forestry Department. She is believed to be in her 50s and was taken to Resurrection Hospital. The circumstances of the attack are not known. Animal Care and Control took custody of the dogs.